“I have an iPad Pro that my kids use at home, and I haven’t touched the device in a long while. My daughter brought the device to me complaining that the device refuses to open even after she has typed in the passcode, and she thinks it’s because of iOS update she did moments ago. I don’t want to use my computer in resetting the locked iPad because of some personal reasons. However, all the solutions to resetting locked iPhone I see the online point to iTunes as the solution. There are different types of iPad locks, and these locks have many ways to remove them from the device. Therefore, we shall discuss the solutions of how to reset unlocked iPad without computer. If your iPad is locked to iCloud Activation, then you can avoid using your computer to reset the locked iPad by using DNS server. Apple DNS server bypass can help you to remove iCloud activation lock from your iPad in a couple of days. Step 1. Select your country and language. Step 4. Click “Save < Back > Join this Network” tabs and then choose your network. Enter the network password and click “Join”. Step 5. Then, your device will try to activate, please click the ‘Back’ tab. Step 6. Now, set up your iPhone as normal. 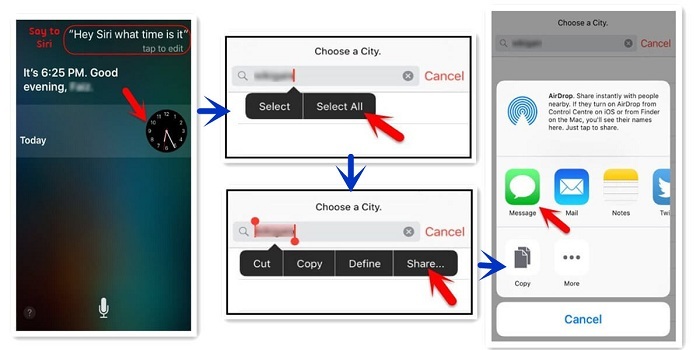 You can take the assistance of Siri to bypass iPhone screen lock and unlock your iPhone. This technique doesn’t require iTunes or computer, and you won’t get to erase the data and information in your iOS device. However, this solution is limited to those that are still using iOS 10.1. Step 2. When time is displayed, tap on the clock and when it’s open, click the “+” icon on top of the page. Step 3. Type anything into the box, and double click on the typed word to get options. Choose “Select all” button to get more option. Step 4. Select the option “Share”. Step 5. Now, a new pop-up will appear, tap “Message”. Step 6. Another interface will open; wait a while before typing “To” into the field. Once you are done. Tap the return button on your keyboard. Step 7. Your text will be highlighted in green, tap the “+” icon. Step 8. You will see a new interface to create a new contact, tap “Create new contact” button. Step 9. Instead of adding the contact details, click the photo icon and choose ‘Add Photo”. Step 10. This would open the device’s gallery for you to browse through the photos. Press the Home button and you will see the Home screen open. 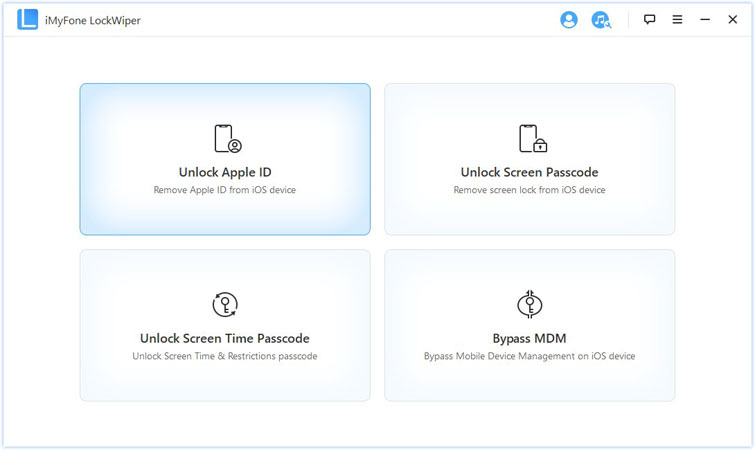 If your iPad is locked to an iCloud account, there is only one third-party tool that can help you reset your iPad’s Apple ID without password in a few minutes, and that solution is iMyFone LockWiper. The iMyFone LockWiper is a useful tool that can reset or remove iCloud account and Apple ID from any iPad without a password. Once you have reset the device, you can now create or set up a new Apple ID and password on the device. 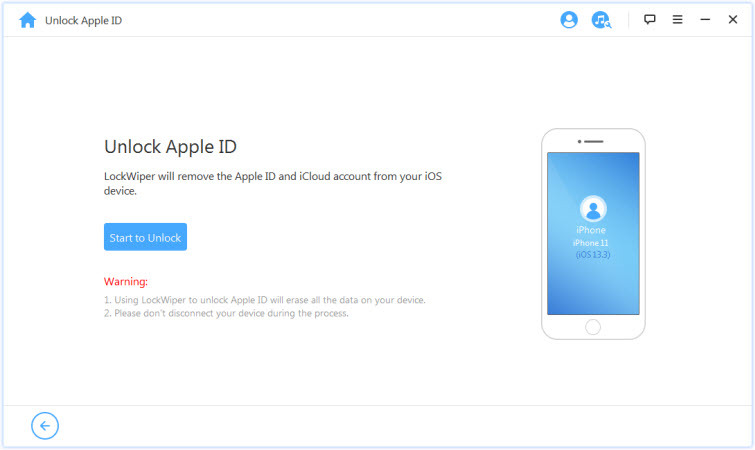 You can also add an existing Apple ID to the device without the previous owner tracking the device via his/her iCloud account. Reset iPad’s Apple ID without a password. Removes Apple ID and password that were previously associated with an iPad, and gives you the opportunity to set up a new one. Once the Apple ID is removed, no one can trace the device anymore. You will get to enjoy all the features of an iPad with any hindrances. Step 1. Download and install LockWiper on your PC. Then, connect your iPad to the computer and launch the program. Step 2. As you need to reset iPad's Apple ID, you need to select the “Unlock Apple ID” mode. Step 3. Click the "Start to Unlock" button to remove your iPad Apple ID without a password. 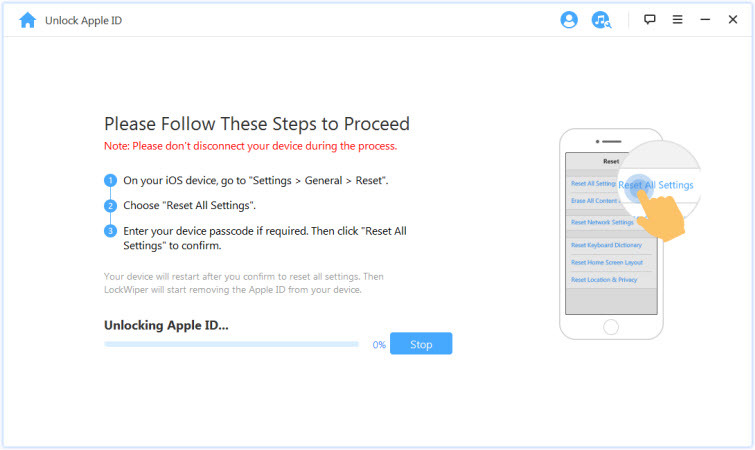 When your device has Find My iPad enabled, please follow these steps: “Settings > General > Reset> Reset All Settings”, then the unlocking process will start. Go to “Display & Brightness” and choose “Auto-Lock”. You can choose “Never” to stop the iPad from sleeping and locking completely. 2. Create a passcode you can easily remember. 3. Write down your password/passcode in a note to avoid forgetting it. 4. Don’t create random passwords; use something you can easily relate to and remember.